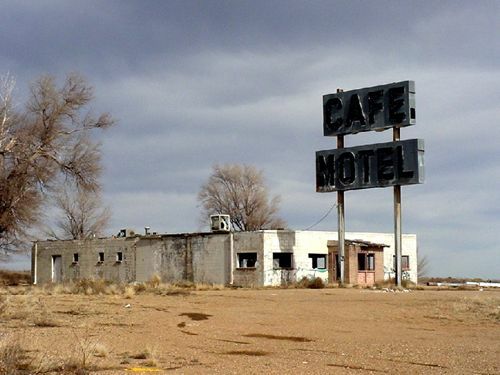 Five miles past Glenrio on old Route 66 is the ghost town of Endee, New Mexico which had a population of 110 in 1946. Along the way you can view several abandoned homes and structures before arriving at Endee. Endee was founded in 1882, gaining its name from the old ND ranch. A post office was established in 1886. Endee was originally a wild west town where cowpunchers went to blow off steam on Saturday nights. Some people claim that the town was so rough that a trench was dug on Saturday to bury the gunfight losers on Sunday. 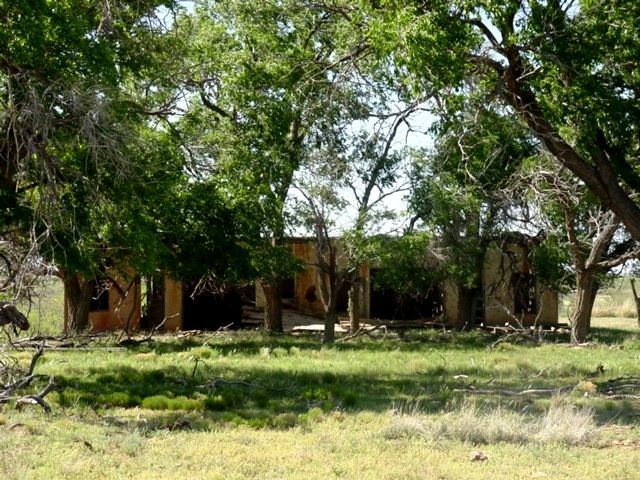 In 1950, 187 people made their home in Endee, but today, this town has been long abandoned and forgotten. The post office in Endee opened in 1886. The settlement was founded as a supply center for area ranches, including the sprawling ND Ranch established by John and George Day in 1882. Post office closed in 1955, three years after the completion of a realignment of Route 66 that bypassed the community. Continuing down this old dirt road to Bard you will see the remains of an old Rock Island trestle. The settlement of Bard was also said to have been a wild town during the cowboy days, where drunkenness and shootouts were commonplace. In the 1940’s it was a trading center for local ranchers, consisting of a store, a gas station and several houses. At one time, Bard had 195 people, but by 1980 the town had been reduced to ten. Today, Bard, too, is but one more casualty of Route 66. Continuing west on old Route 66, the dirt and gravel road will take you all the way to San Jon, if road conditions permit. The initial settlement in Bard dates to 1906, and population became sufficient to warrrant a post office in 1908. The following year, acceptance of an amended post office application change the name to Bard City, and another amendment in 1913 changed it back to Bard. Numerous sources claim the name comes from the association a pioneering family had with a railroad siding named Bard in Texas. 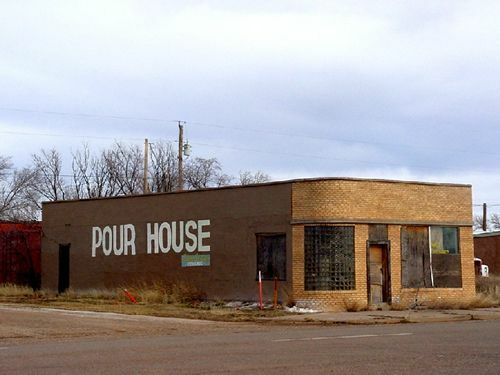 However, the most probably namesake is the Bar-D Ranch operating in the area at the time of the town’s establishment. On three different occasions, the entire town relocated to capitalize on the change in traffice patterns from predominately railroad to automotive. A 1946 highway guide indicates a population of 26 and a sparse business district consisting of a gas station, garage, and post office. Today Bard is a ghost town. Russell’s Truck Stop opened near the site in late 2009. The unique complex blends the modern, all purpose travel center with an automotive museum and Route 66 gift shop. However, the address of the travel center indicates an address of Endee. 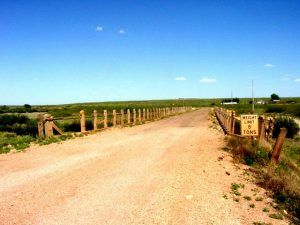 Another few miles along your journey, you’ll come to San Jon (pronounced San Hone), a small agricultural community curled up against the vast open spaces of Eastern New Mexico. This quiet village of just about 300 people is not quite a ghost town but many of its old businesses display otherwise. 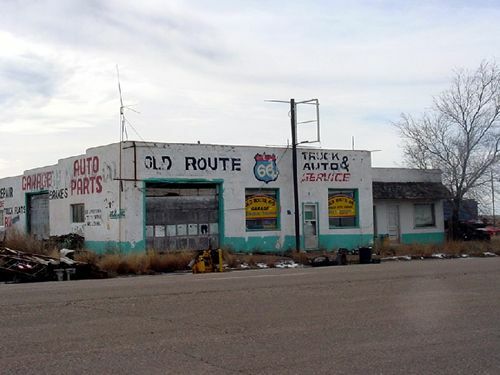 However, this was once a busy stop for early day Route 66 travelers with several gas stations, garages, motor courts, and restaurants. 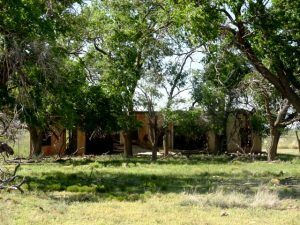 The settlement was founded in 1902 and soon became an important ranching and shipping center when the railroad arrived just two years later. pouring anymore beverages these days. In those vintage days, San Jon was the largest town on those eastern plains and was the hub of cowboy nightlife on Saturday nights. Unfortunately, its streets are quiet today, after having been passed by the interstate, lined with empty buildings testifying to better times. Continuing on for a little more than twenty miles, you will soon arrive in Tucumcari. As you travel along watch for the many “Tucumcari Tonite” billboards, which have been popular since the vintage days of the Route 66.